Set permissions that let other personnel, such as helpdesk agents, use Call Analytics, but prevent them from accessing the rest of the Microsoft Teams admin center. Add building, site, and tenant information to Call Analytics by uploading a .tsv or .csv data file. Search for the user from the dashboard. Select Users in the left navigation. As the admin, you have full access to all the features of Call Analytics. In addition, you can assign Azure Active Directory roles to support staff. Assign the Teams communications support specialist role to users who should have a limited view of Call Analytics. Assign the Teams communications support engineer role to users who need access to the full functionality of Call Analytics. Both permission levels prevent access to the rest of the Microsoft Teams admin center. The communications support specialist role is equivalent to tier 1 support and the communications support engineer role is equivalent to tier 2 support. 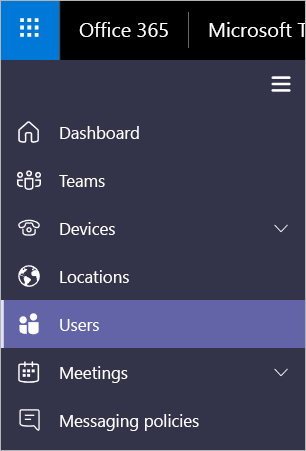 For more information about Teams admin roles, see Use Microsoft Teams admin roles to manage Teams. Communications support specialists handle basic call-quality problems. They don't investigate issues with meetings. Instead, they collect related information and then escalate to a communications support engineer. Communications support engineers see information in detailed call logs that's hidden from communications support specialists. The following table gives an overview of information available to communications support specialists and communications support engineers when they use Call Analytics. Only the name of the user for whom the agent searched. Shows as Internal User or External User. Entire phone number except last three digits are obfuscated with asterisk symbols. For example, 15552823***. All details shown, such as device names, IP address, subnet mapping, and more. All details shown, such as DNS suffix and SSID. Only the name of the user for whom the agent searched. Other participants identified as Internal User or External User. Session details shown with exceptions. Only the name of the user for whom the agent searched is shown. Other participants identified as Internal User or External User. Last three digits of telephone number obfuscated with asterisk symbols. Session details shown. User names and session details shown. Last three digits of telephone number obfuscated with asterisk symbols. To learn how to assign administrative roles in Azure Active Directory, see View and assign roles in Azure Active Directory. You can add building, site, and tenant information to Call Analytics by uploading a .csv or .tsv file. With all this information, Call Analytics can map IP addresses to physical locations. You or helpdesk agents might find this information useful to help spot trends in call problems. For example, why are many users in the same building having similar call quality issues? If you're a Teams and Skype for Business admin, you can use an existing data file from the Teams & Skype for Business Call Quality Dashboard. First, you download the file from Call Quality Dashboard, and then you upload it to Call Analytics. To download an existing data file, go to Microsoft Teams admin center > Call Quality Dashboard > Upload now. In the My uploads list, click Download next to the file you want. To upload the new file, go to Microsoft Teams admin center > Locations, and then select Upload location data or Replace location data. If you're creating the .tsv or .csv file from scratch, see Tenant data file format and Building data file structure.